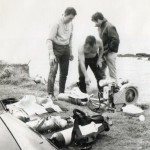 Mansfield 735 BSAC was established in 1953 we have a rich and proud history this section has details of this as well as Archive Information. 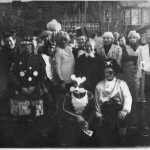 Some photos from the early days of the club. Originally seeded from Nottingham BSAC, Mansfield and District Underwater Swimming Club (MDUSC) was formed in 1958 as an independent diving club. 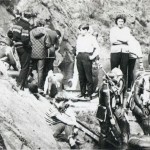 The club enjoyed many years of success as an independent body and joined the British Sub Aqua Club in 1970. 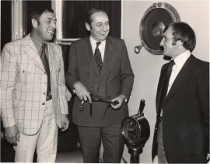 The main drivers of this initiative were three of MDUSC’s instructors who had already joined Alf Temperton’s BSAC Special Branch in Lincoln. Jim Butler, Deric Ellerby and Phil Stone were involved in the Derbyshire Association of Sub Aqua Clubs, helping organise and teach on training courses and wanting to advance their instructor qualifications within the BSAC system. 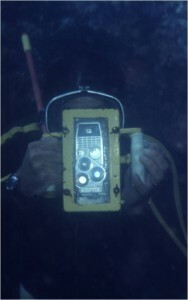 Early home made underwater camera housing. Another significant enticement was the opportunity to participate in the BSAC’s newest project, to charter MV British Diver. 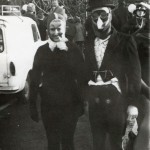 Those opposed giving up the clubs independent status pointed out with the current membership of BSAC it would be Mansfield’s turn sometime in the 21st century. 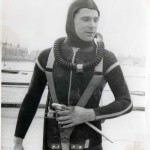 Luckily MDUSC became a branch of the BSAC and Mansfield 735 were able to charter British Diver for the next four years. The first year BSAC extended the season by a week to accommodate the Oban based circumnavigation of Skye project, a fantastic success even the though optional visits to Iceland and New York had to be trimmed out. 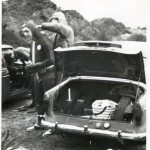 The ‘exotic’ expedition has become a well established tradition that has helped cement the club diving spirit ever since. Already active at local county level, joining BSAC rapidly opened up wider horizons to 735. ‘Twinning’ first with Hartlepool and Scarborough Branches, joint Scottish and Mediterranean expeditions were organised. These contacts are still well alive to this day. Individuals in the Branch also progressed their BSAC qualifications, both on the instructor path and broadening experience with Chartwork, Navigation, Boat Handling, Recompression Chamber Operation, Compressor Management and Marine Biology being just some of the courses the Branch was active in running. These brought wider regional contacts leading to joint expeditions with Doncaster, Selby and RAF Lakenheath to sites as far apart as Scapa Flow and the South of France (long distances in those days!). With Deric Ellerby becoming BSAC East Midlands Regional Coach, the Branch was heavily involved in supporting regional training events and an annual Regional Conference, supplying both instructors and administration (and sandwiches). Renting and re-furbishing a derelict council property to make a viable Clubhouse was another unifying project, even though in true BSAC fashion it was the lorry drivers and accountants who had to do the plumbing work and the teachers and miners the electrical work, whilst the plumbers and carpenters argued over which brewery to adopt. 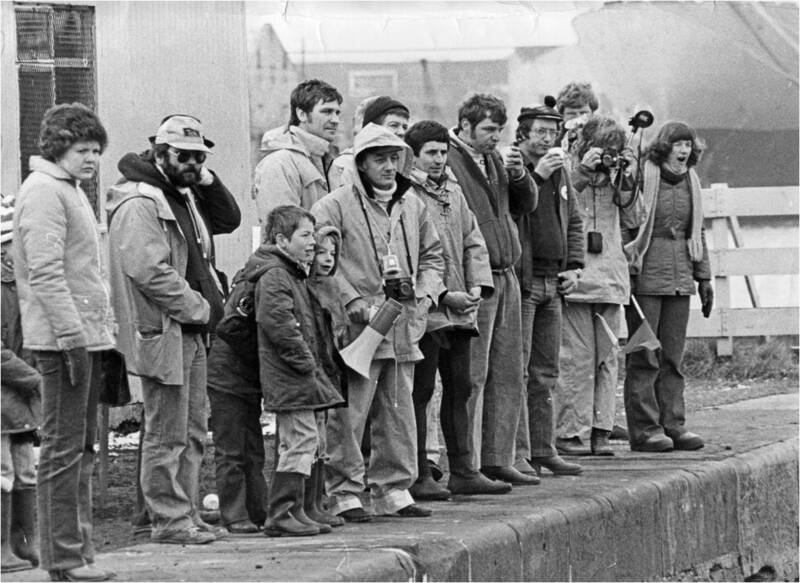 The clubhouse was opened by the BSAC chairman, Kendal Mc Donald in 1976. This functioned very successfully for ten years until a combination of a major rent rise and the drink driving restrictions forced its closure in 1986. Inevitably over the years some of the original prime movers had to be replaced, usually because their BSAC commitments had moved geographically wider, but this merely encouraged newer members to advance their own qualifications and follow similar paths. So a continuity was maintained and 735’s development has kept pace with changes in both BSAC and diving habits and techniques. An early trip to the Farne Islands. 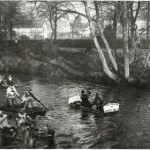 The square boat in the picture was known as “Jacks Kipper Box”. Expeditions today are to the South China Sea, with members diving locations such as Truk Lagoon and the Galapagos. Having previously played host to visitors from BSAC Japan, 735 was delighted to receive a batch of specially produced ‘qualification’ cards to commemorate it’s 50th Anniversary. The Branch even got a special congratulatory mention in the ‘BSAC Japan Times’ magazine. On a foggy morning in the Farne Islands, September 1915 the SS Britannia ran aground. She was on a trip from Newcastle to Leith and hit ‘the Callers’ early morning on the 25th of September. Word was sent to Seahouses of the wreck and the lifeboat dispatched. It was hoped that the Britannia might refloat on the next tide, however it soon became apparent that this would not be the case owing to the amount of water in her holds. The lifeboat took off Captain Halerow,19 crew and 2 passengers and she was abandoned. It is not clear exactly what her cargo was at the time of sinking, whatever it was she was quickly relieved of it by local fishermen who report they had found nothing but boots, all of which were ‘left’. 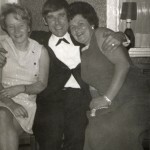 In 1971 Mansfield and District Underwater Swimming club as the club was then known lead a series of expeditions to the Farne Islands and identified several wrecks including the Britannia and the Snowdonia. 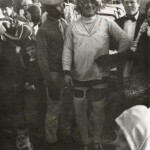 Diving in the early 70’s was clearly a different sport to the one we know today, older club members tell of eras of homemade kit and close shaves. At that time the club had a small RIB which was used to make the crossing to the Farnes, alarmingly the crossing from Seahouses was also made by an improvised, flat bottomed craft known as Jacks Kipperbox, which the club regularly used for diving on the islands. 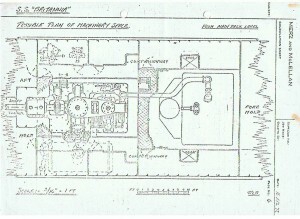 A schematic of the wrecks engine space. 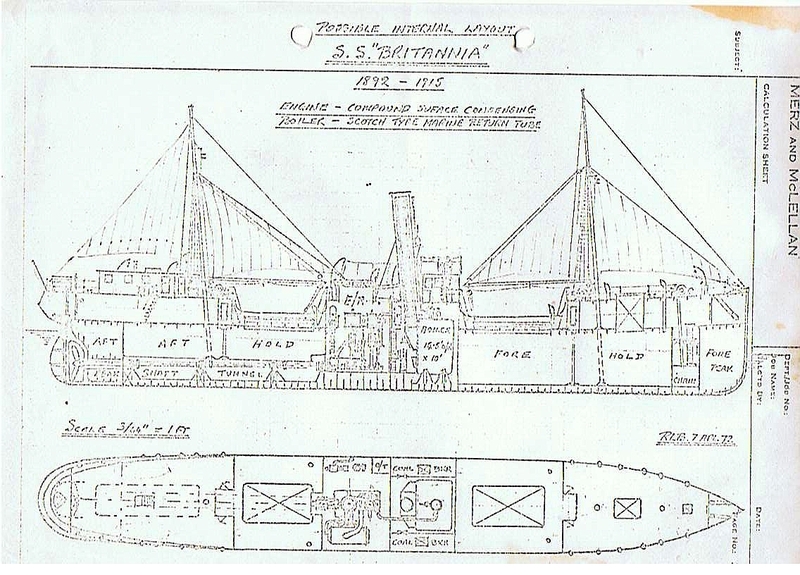 Once the Britannia had been identified, club members of the time did extensive research into its history, design and sinking. She had been built in 1885 by S. & H. Morton and Company of Leith, she had a gross weight of 740 tons and length of 210.4 ft. The Britannia was not insured at the time of sinking and so in 1971 was still owned by Currie Line of Leith. Britannia was purchased by the club from Currie Line not long after her identification. The wreck remains one the clubs oldest, largest, most unusual and sadly under used items of equipment. Dives were regularly made on the Britannia throughout the 1970s and many items were lifted from the wreck, again evidence of a past era. Many of the artefacts from the ship can today be found in the clubhouse of Scarborough BSAC. 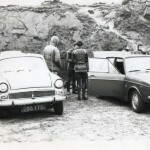 They and the rest of Mansfield’s possessions were gifted to Hartlepool and Scarborough BSACs when the Mansfield 735 clubhouse closed in the 1980s. Plans, papers and reports on the Britannia remain in the club archive, the original expedition report ‘Project 1971’ can be found on the Expedition Reports section. If any-one has recently dived the Britannia or would like to learn more about the wreck, please feel free to get in touch the branch archive has numerous papers pertaining to the wreck, which may prove interesting to any-one looking to dive her.